Various real-life applications are using blockchain smart contracts to empower their business in an automated way. If you are in a need to build a smart contract based application, contact our experts’ team. They will guide you to build a secured application in various industry like supply chain management, product tracking, payments, stock trading, digital identity, medical research, mortgage etc. 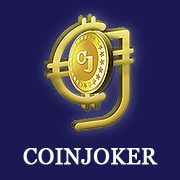 Coinjoker the best blockchain solutions provider will assist you. Contact them for more info.